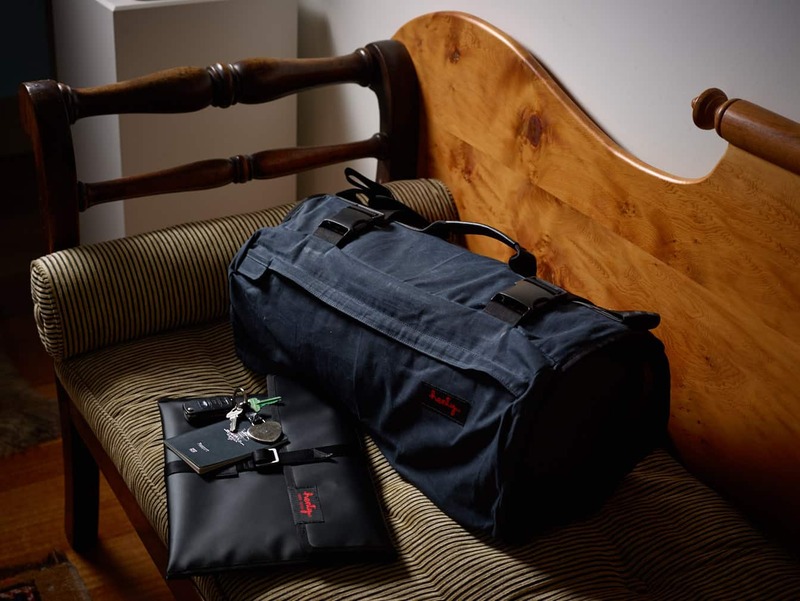 Henty – Suit Bag or Garment Bag? More and more people are choosing Henty for suit bags and garment bags. Travelling for business or leisure should be a fun affair, but when you need to look smart and professional, in an ironed outfit at your first location, it can become an annoying chore. That’s why you need a high quality garment bag. At Henty, we’re continually improving our designs to ensure customers are investing in the best suit bag on the market. As a result of our continuous improvement, our designs are renowned for their ease of use, style and performance. Our bags will keep your clothes on point. Why are Henty suit bags the best for business travel, wedding trips, weekends away? Quality – Our designs use high quality components and fabrics (Cordura and waxed canvas) and are backed with our five year warranty. Henty products are built to last. Convenience – Our philosophy is that if you take the time to pack your clothes, remove folds and creases before you zip it up, then your clothes will come out of a Henty garment bag as well as they were put in. Most garment bags available today still rely on folding your clothes in half. Some designs have progressed to a tri-fold method. The end result of all these products is they fold your clothes, and will likely result in creasing. With Henty’s patented rolling technique, our bags minimise creasing. Carry – Travelling with carry on luggage, which you can wear comfortably as a messenger or backpack, opens up the opportunity of walking, running or even riding a share bike while carrying your suit bag. Accessibility – Our unique suit bag design has just enough pockets to keep you, your gear and tech (up to a 15 inch laptop) organised while you’re on the move. – A large external pocket can be used to carry note pads, pens, tablet, newspaper or novel. – A smaller external pocket (CoPilot only), with RFID protection, for your phone, wallet and boarding pass. – Inner Tube or Inner Dry Tube is used for your bulky items like shoes and toiletries. Modular – Henty Wingman and CoPilot suit bag designs are compatible with a range of inner bag options. When one of our suit bags is purchased, it comes with a 20L Inner Tube (CoPilot), 18L Inner Dry Tube (Wingman Backpack) or a 14L Inner Tube (Wingman Messenger). You can tailor your bag by purchasing additional compatible inner bags, such as the 26L Sports Backpack, 26L Sports Messenger, 20L Sports Backpack, 20L Sports Messenger, 20L Inner Tube or 20L Inner Dry Tube, which can be used as a substitute for the inner bag, which came with your original purchase. Weatherproof – The Wingman Backpack and Compact Backpack are Henty’s most weatherproof designs. We’ve incorporated rubber YKK zips and used PVC binding on the external seams. For this reason, these products don’t come with a rain/dirt cover, however this can be purchased separately and is a great way to improve your safety and weatherproofing, when riding, as it comes in a bright orange colour with a reflective Henty logo. Secure – We’ve designed the external pocket with a velcro securing tab, to make items stored in the external pocket more secure, and included RFID blocking around the quick access external pocket, where we recommend storing your wallet and phone, to ensure your valuables are protected when travelling. Henty has been selling the world’s best and most versatile suit bags since 2012, and have continually updated the designs based on feedback from customers and our own experiences. Our carry clever ethos can be observed in our unique, innovative designs and is why Henty bags are recognised as the best in the market by business travellers and commuters. No Replies to "Henty - Suit Bag or Garment Bag?"